Anyway, there IS a goofy edge, and I loved it. Michael J. Fox is a paranormal investigator or something – basically he offers his services to exorcise poltergeists from people’s houses, thanks to a near-death experience that allows him to see ghosts who are sticking around earth for whatever reason instead of shuffling off to the great light in the sky. When a bunch of people die of apparent freak heart attacks and Fox’s spidey sense sees numbers carved in their foreheads, he figures something’s up and starts investigating. For some reason I did think it was from the ‘80s, so I was expecting super-cheesy SFX, but the effects in here are actually quite good. The ghosts moving through walls bits were quite effective, and the semi-transparent, glowy look of Fox’s poltergeist pals was amusing as well. Though the tone is largely silly, there are some real thrills, as well, especially when Fox and his lady friend (Trini Alverado, who I only had seen in Little Women before) go into an old hospital, aka the creepiest places ever, in search of the means to defeat the big bad. I didn’t have very high expectations for this one, but I enjoyed the heck out of it. Chalk up another hit for Jonathan – he’s getting to know my tastes pretty well! My Souvenir: The hospital sequence toward the end. Abandoned hospitals are super-creepy to begin with, especially when they’re psychiatric hospitals. And I love this sort of creepy – it sends my spine tingling like nothing else. Then add in the fact that Fox keeps being thrust back and forth between the present (creepy abandoned) hospital and the past working (still kinda creepy) hospital, which hits all of my paranormal/alt universe/time travel type buttons (not that those things were actually happening, but they’re in the same ballpark), and I totally loved it. It also upped the suspense a lot, because Fox couldn’t control when he swapped back and forth, which meant that he couldn’t always tell when the crazy attacker was right on top of him or not. Very effective and very fun. There’s Lord of the Rings Peter Jackson, and then there’s everything before that. 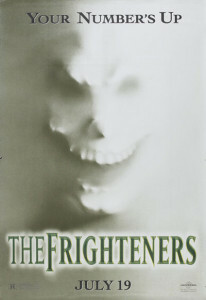 The Frighteners was the first of his pre-fantasy films I decided to watch and boy was I in for a treat. The film had the sillies and willies in equal measure, and I was struck by just how well it all came together. Of course, I then watched some of his other films and realized that this shouldn’t have been a surprise. In fact, it’s surprising what he was able to do with dwarves and hobbits given his penchant for “morbid screwball.” Perhaps no one watched his earlier work when giving him the reins to the most beloved fantasy franchise of all time? 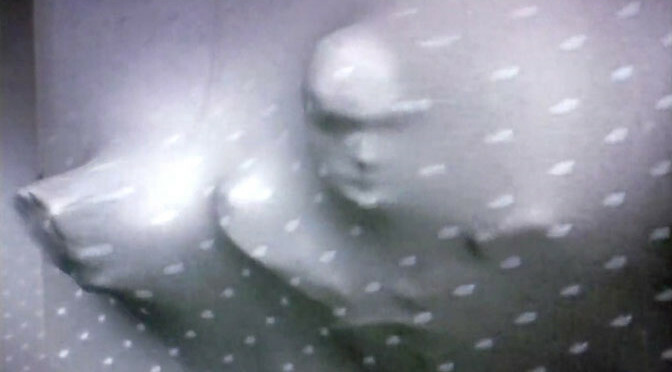 The major standout of The Frighteners for me is the special effects. From spectres trying to break free of the walls to a mean Grim Reaper (pretty much a prototype for the LOTR Ringwraith), it all looks good. You can tell that WETA Workshop will become a real force in the SFX world. I especially liked the ghosts that inhabited this world. That effect is almost too good to be in a movie from 1996. Overall, this is a fun movie that has some great effects and an interesting take on ghosts and the afterlife. The characters are zany and the plot is a bit out there, but therein lies the fun. I’d place this after Galaxy Quest and Mystery Men in the list of flicks to watch to understand where I’m coming from. Awww, it’s less fun if you both agree with each other 100%!